I spend a lot of my free time working on improving my SEO. Last year I changed over to a new website and blog name and my DA or Domain Authority dropped dramatically because my SEO was non-existent. Having a good DA is important to how your rank online and in Search Engine Optimization. Domain Authority or DA is a search engine ranking score that is developed by Moz. It predicts how well a website ranks in search engines and result pages. It is calculated by many factors including total links, root domains, etc. I am still nowhere near where I want to be, and companies like NJ SEO can help in this situation. Many online marketers and bloggers know the importance of SEO. It is an integral part of your digital market and helps you to be seen by your target audience. SEO stands for Search Engine Optimization. Having your website seen on the first page of a search is instrumental in getting more business for your company. Many web site authors and writers are not familiar with SEO or how it works, others are, but can't seem to make a budge in their online presence. If you are one of these two scenarios, you need to find an SEO company like NJ SEO to help. 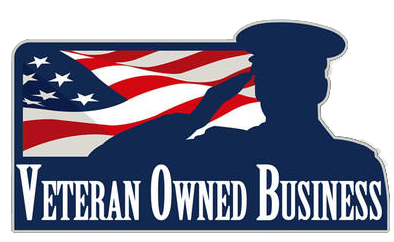 NJ SEO is a veteran-owned full-service internet marketing agency. Matt Anton, in charge of client strategy and execution, is the former marketing manager of Liberty Travel, a billion dollar travel agency. There, he was responsible for digital marketing strategy and execution and managed a monthly budget of 250k. He has been cited as an SEO Expert, cited by MOZ, which is a huge accomplishment and compliment, has over 100 endorsements and recommendations on LinkedIn and is one of the Top 100 Local SEO marketers. Check out additional reviews and testimonials here. NJ SEO's team of specialists can help you build a sustainable, meaningful relationship with your clients. They help by engaging them with your brand using social media. They work in areas including social media marketing, email marketing, digital marketing, and SEO. So, what should you be focusing on when it comes to SEO? For starters, you need to be on Wordpress, not Blogger. While blogger is a great free platform, Wordpress just takes it up a notch. Go through every single old and new post that you have and make sure you are linking to other posts within your posts. So, if you have a post about California, you might want to link to another post that you wrote about San Francisco, Carmel, or Napa Valley. By doing this, you are showing Google that you know what you are talking about - you are creating authority in the subject. Not only do I recommend linking when it is natural, but I also recommend adding an “If you liked this post…” section at the bottom and link to relevant pages there, as well. Having a built-in page recommendation system is not doing much for your SEO, so I recommend doing it yourself. One other thing that you should be doing on your own is keyword research. I could talk all day about this, but to limit it, check out Moz and see what you can do by playing around. You should ultimately be trying to rank for highly searched keywords, but this can be very challenging to compete for when you do not know what you are doing (yet another reason to check out and hire NJ SEO). There are so many articles about SEO if you search for them, so just learn about it and have fun! Of course, feel free to ask me any questions, as well. Do you know much about SEO? If so, I want to hear your best tips in the comments below.